To hire the hall, check our bookings calendar for availability, then complete our booking form. Once we've emailed you back, please download our hire agreement at the bottom of this page. Then print, sign and return (by post) the booking / signed hire agreement together with your payment to the address on the form. *If you are looking to hire the hall on a regular basis, further concessions are available. To learn more simply get in touch. NB. Tea towels, washing up liquid, bin bags are not provided. Location: If you are not sure how to find LVH, here is a Google map. Setup / Cleanup time allowance: All setup and cleaning times must be taken into consideration when hiring the hall. Payments: Please make all payments by cheque, to "Longdon Village Hall". No cash please. Bar Facilities: The hall does not have a bar facility, however there are many companies that will provide a mobile bar service for your event, along with the appropriate licensing provision. 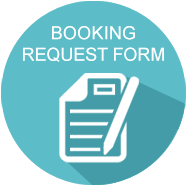 Teenage parties: Please note that due to unfortunate issues in the past, Longdon Village Hall Committee reserve the right to refuse bookings for teenage parties. If such a booking is approved, a refundable £200 deposit will be required. This will be refunded upon all T&C being met and a satisfactory inspection of the hall following an event. You will find more details on this in our hire agreement.